We were highschoolers who wanted to make music. We started in 2006, rei vented ourselves many times and now wea��re here with high energy music that you can dance, headbob or mosh to. The Foo Fighters, Biffy Clyro, Johnny Cash, The Raconteurs, Jack WhiteandThe Hives. We will be playing music predominantly off our new album The Queen with some fun older songs too. Mad energy is what we forecast and expect of the crowd! with a saxophone, beatboxing, flute and rap to create some intense music. Mr Woodnote tells us more. is made live on stage. Nothing is pre-recorded. Get excited about big bouncy tunes. A couple of special Indian guests will be a part of my act. And yeah, simple, a lot of positive music and a great vibe! I am looking for a bit of a party. November 8a��9 at Embassy International Riding School, Tarun hunse Village, Jalahobly. It has a lot of Indian influences. 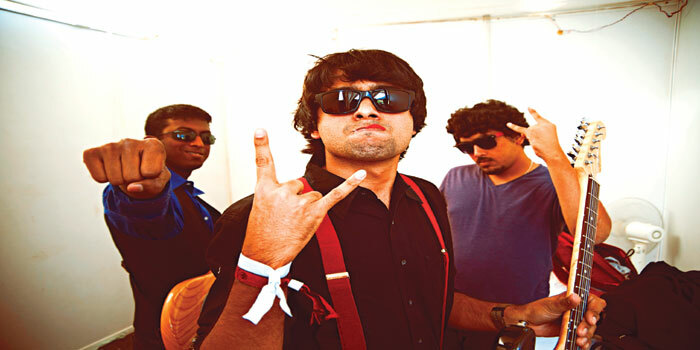 They are a fantastic platform for non- Bollywood musicians. The music scene has seen an evolution across the board.